1. Grind onion, ginger, garlic, green chilies, tomato to a coarse consistency. 2. Heat oil in a pan. Add cumin seeds and grinded onion mixture , fry till light brown. Add turmeric and fry for another 1 minute. 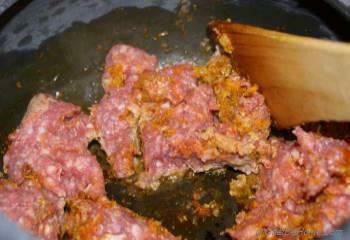 Add ground lamb meat and fry while breaking apart meat chunks to small pieces with Spatula (till pink color from meat disappears and oil starts to separate from lamb). 3. 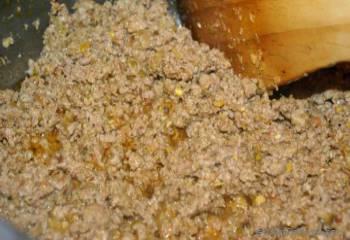 Key of making good Lamb Keema is frying mixture for little longer then required time. 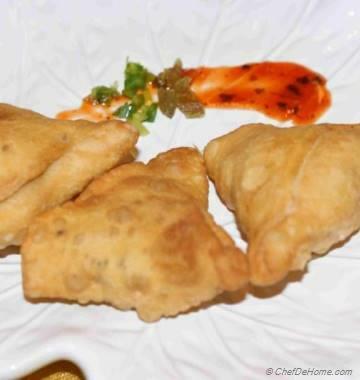 So add 1 tbsp Coriander Powder, Salt and 1/2 tsp Grill Seasoning (Or use 1/2 tsp of Chicken Masala) and continue frying for 5 more minutes stirring every 1 minute. 4. 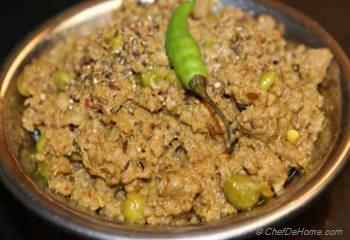 Now add 1 cup water and simmer on medium low heat till keema is done to your liking. (If using pressure cooker, add only 1/2 cup water). On high heat, let liquid (left water) evaporate and you one see oil separated from lamb. Add Peas (Pre boiled Or Frozen) and fry additional 3 minutes on medium heat. 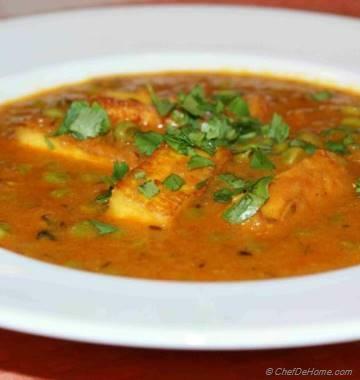 Serve hot with Bread Or Chapaati. 4. 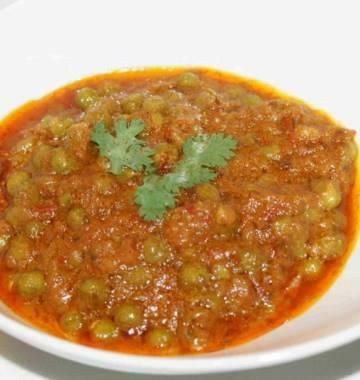 Serve hot with Bread Or Chapaati. 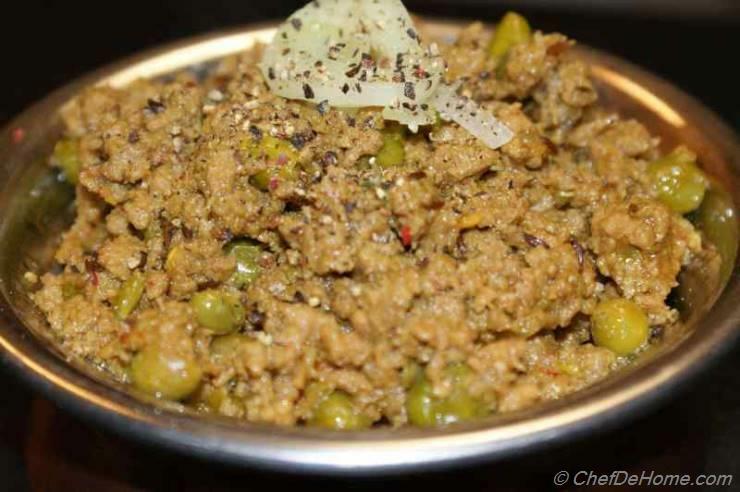 Use Leftover to make spicy tasty tacos Or Keema Parantha. Check recipe in Similar Recipe Section. 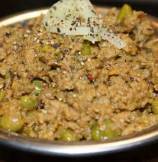 I tried your lamb recipe (Keema Matar) and also stuffed few sandwiches with leftovers. Every one loved both the meals and it is part of my weekend menu. Thank you so much for this sooooo good recipe. 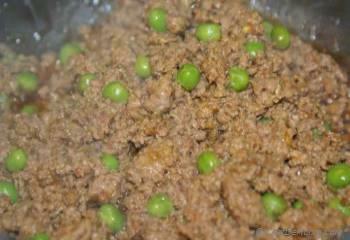 Ground Lamb with Peas looks so delicious. Cant wait to try it. This looks delicious. I do not eat lamb that much. But this recipe looks so easy and yummy, I have to try it.